Discussion in 'Show off' started by wfredette, Mar 27, 2016. My first 24+ hour print since finishing my build. It's an up-scaled Makey Bot. The hole in the chest is to accommodate a little device that use at work. The articulated joints worked beautifully as soon as I took it off the bed. PsyVision, Rob Heinzonly, mike01hu and 1 other person like this. Thanks! I still have some tweaking to do with restart distance, coasting, etc., but the fact that the joints were completely free when I took it off the bed is encouraging. 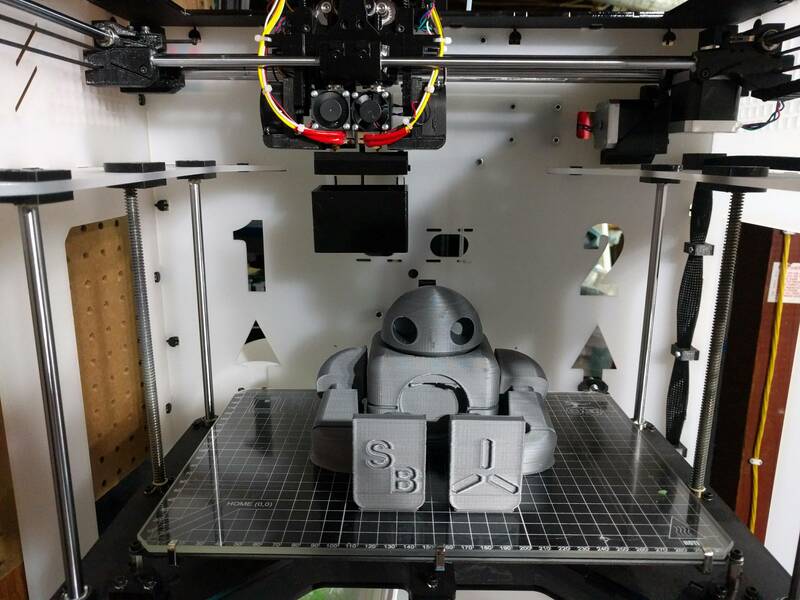 Sainsmart silver PLA. But, yeah, in essence, it's grey.